First Half ends, Atlético Huila 0, Independiente Santa Fe 1. Attempt missed. Nicolás Roa (Atlético Huila) right footed shot from outside the box misses to the left. Assisted by Diego Moreno. Foul by Carmelo Valencia (Independiente Santa Fe). Diego Moreno (Atlético Huila) wins a free kick in the attacking half. Foul by Juan Pedroza (Independiente Santa Fe). Andrés Amaya (Atlético Huila) wins a free kick in the defensive half. Attempt missed. Hernán Hechalar (Atlético Huila) left footed shot from outside the box misses to the right. Assisted by Luis Cardoza with a headed pass. Attempt saved. Nicolás Roa (Atlético Huila) right footed shot from outside the box is saved in the bottom right corner. Assisted by Víctor Moreno. Attempt missed. Jorge Aguirre (Atlético Huila) right footed shot from outside the box misses to the right. Assisted by Hernán Hechalar. Goal! Atlético Huila 0, Independiente Santa Fe 1. Carlos Henao (Independiente Santa Fe) header from the centre of the box to the bottom left corner. Assisted by Jhon Velásquez with a cross following a corner. Corner, Independiente Santa Fe. Conceded by Wilmar Jordan. Attempt blocked. Jhon Velásquez (Independiente Santa Fe) right footed shot from the left side of the box is blocked. Corner, Independiente Santa Fe. Conceded by Luis Cardoza. Attempt missed. Carmelo Valencia (Independiente Santa Fe) header from the left side of the six yard box is too high. Assisted by Johan Arango with a cross following a corner. Corner, Independiente Santa Fe. Conceded by Víctor Moreno. Kevin Agudelo (Atlético Huila) wins a free kick in the defensive half. Foul by Andrés Pérez (Independiente Santa Fe). Corner, Independiente Santa Fe. Conceded by Diego Sánchez. Offside, Independiente Santa Fe. Andrés Pérez tries a through ball, but Johan Arango is caught offside. Foul by Víctor Moreno (Atlético Huila). Carmelo Valencia (Independiente Santa Fe) wins a free kick in the defensive half. Attempt missed. Carmelo Valencia (Independiente Santa Fe) header from a difficult angle on the left misses to the left. Assisted by Johan Arango with a cross following a corner. Corner, Independiente Santa Fe. Conceded by Nicolás Roa. Attempt missed. Diego Sánchez (Atlético Huila) left footed shot from outside the box is too high from a direct free kick. Foul by Carlos Henao (Independiente Santa Fe). Andrés Amaya (Atlético Huila) wins a free kick in the attacking half. Hernán Hechalar (Atlético Huila) wins a free kick on the left wing. Foul by Johan Arango (Independiente Santa Fe). Offside, Independiente Santa Fe. Andrés Pérez tries a through ball, but Carmelo Valencia is caught offside. Attempt saved. Johan Arango (Independiente Santa Fe) right footed shot from the left side of the box is saved in the top right corner. Assisted by Juan Pedroza. Foul by Jhon Velásquez (Independiente Santa Fe). Diego Moreno (Atlético Huila) wins a free kick in the defensive half. Wilmar Jordan (Atlético Huila) wins a free kick in the defensive half. 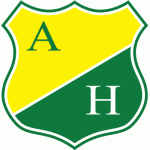 Jorge Aguirre (Atlético Huila) wins a free kick in the defensive half. Juan Pedroza (Independiente Santa Fe) wins a free kick in the defensive half. Foul by Kevin Agudelo (Atlético Huila). Attempt blocked. Kevin Agudelo (Atlético Huila) left footed shot from outside the box is blocked. Assisted by Jorge Aguirre. Attempt missed. 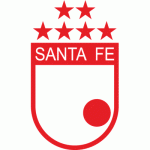 Johan Arango (Independiente Santa Fe) right footed shot from outside the box is too high from a direct free kick. 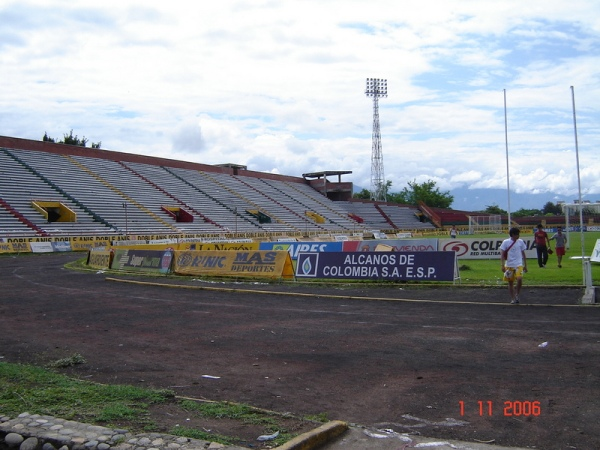 Hand ball by Luis Cardoza (Atlético Huila). Foul by Hernán Hechalar (Atlético Huila). Carlos Arboleda (Independiente Santa Fe) wins a free kick in the defensive half. Attempt missed. Andrés Amaya (Atlético Huila) left footed shot from the centre of the box misses to the right. Assisted by Diego Moreno with a through ball. Jhon Velásquez (Independiente Santa Fe) wins a free kick in the defensive half. Nicolás Roa (Atlético Huila) wins a free kick in the defensive half. Attempt blocked. Diego Moreno (Atlético Huila) right footed shot from outside the box is blocked. Offside, Independiente Santa Fe. Fainer Torijano tries a through ball, but Carmelo Valencia is caught offside.